Most activities for piano are aimed at children starting primary school. So I decided to put together a print-out aimed at 2.5 to 5 year olds with some information and activities that are suitable for this age group. My child might be too young for formal music lessons, but that doesn't mean I can't show her the piano and help her understand what it's all about. There is colouring, cutting and pasting, looking for simple patterns, pretending to be animals, and foolproof instructions to help you help your child play a couple of simple nursery rhymes (for very young children, they might rest their hand on top of yours while you play it, or you might help move their finger to press the right keys). Incidentally, we get to know our way around the piano! 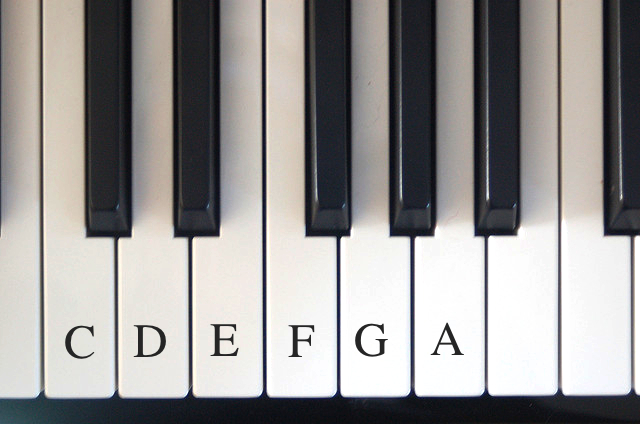 You should be able to do this print out with your child even if you have no previous background in piano or music. It's pretty self-explanatory. You will need a piano that has black and white keys. If you don't have one, K-Mart sells kids electronic keyboards for about $20 that are perfect for this kind of thing (although 'growly notes' will sound less growly). You can read it online but the quality is better if you download the file. Kids generally get the hang of counting some time between the age of 2 and 4 – this means proper counting, not just the ability to recite numbers in the counting order. It means if you asked your child to bring you 6 objects, they could do it (provided they were inclined to, of course!) I did a blog post here about all the things a child has to get their head around before they can really count. If your child gets the hang of the counting thing roundabout 4yo, they may well like to start doing things like workbooks straight away. But if they are only a toddler, these kind of activities will be completely unsuitable. Abacus - we got an affordable and durable abacus through RightStart Mathematics (we actually got the abacus as a gift with the maths games kit for $50, but the abacus by itself is $15 and after 6 months is still in great condition). It has 10 rows of 10s grouped into 5s by colour. Initially she liked just sliding the beads about, but then she liked to practice sliding 2 or 3 or 10 at a time. It was easy for her to see the number 10 at a glance, and for us to count by 10s to 100. I wrote the numbers 10, 20, 30… down to 100 down the side of the abacus so she could start to associate these with the quantities. We showed different people’s ages on the abacus. The great thing about the abacus over other place value and counting toys like Montessori beads or MAB blocks is that: a) it’s way cheaper, and b) you don’t have small parts you can lose. Reading Letterboxes - on walks we had always stopped to spot numbers on letterboxes. Now we started to do double digit numbers. We’d identify which number was in the tens place and which was in the ones place, ask ‘what are 3 tens called?’, then put it together… ‘ah, so this must be thirty…five!’ There are about 15 double digit letter boxes between our house and the playground, so this was a perfect length activity for a toddler. Another favourite ‘found numbers’ game was reading all the table number signs at cafes, and we spotted speed signs on a long bus ride. We’ve talked through how the bottom number is the number of pieces the circle is divided into, and the top number says this is just one piece. I then started talking about halves, quarters, thirds, fifths etc as I cut up her food and she has taken to this very keenly, and now likes to request how many pieces her food is cut into ‘cut it into fifths!’ We also count the sides and corners of shapes. Finger Counting - It is a real challenge for toddlers to learn how to hold some fingers up and keep others down. 1 and 5 are easy, 2 is not too hard, but 3 and 4 are really tricky. Learning how to do this provided hours of entertainment. 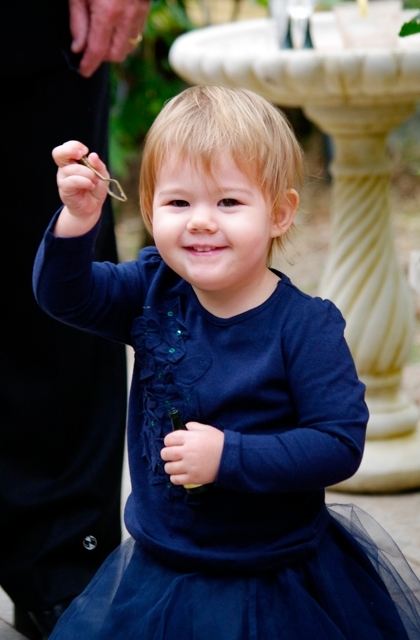 Now she likes to accompany saying any of the numbers 1 to 5 with a representation of the number on her fingers. More recently she has become interested in holding up some combination of fingers on both hands and asking what that is. Another good way of involving movement and counting is stomping or clapping numbers. 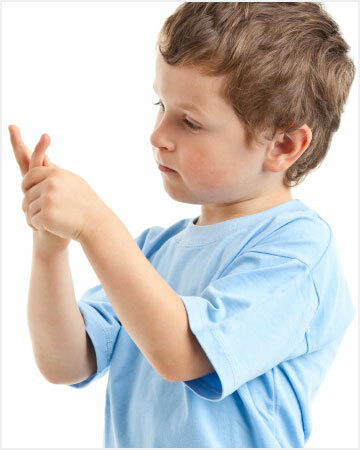 There is some evidence that finger counting spatially cements number concepts that form the basis for more advanced mental mathematics as the child grows older. Numbers Songs and Rhymes - Five Little Ducks is a great one and can be acted out on your fingers. My sister also got Bethany a mummy duck puppet with five baby duck finger puppets which were a lot of fun. Beyond 5 numbers, Yellow Is The Sun teaches the numbers from 6-10 as 5 + 1, 5 + 2 etc. The song is supposed to go with the abacus but it’s easy to do on your fingers too. Alice the Camel counts backwards from 10. 1-2 Buckle My Shoe emphasises counting in groups of two. I also made up derivative rhymes like: ‘2-4-6-8, Hurry Hurry Don’t Be Late, 12-14-16-18, Hurry Now Don’t Keep Us Waiting’. Sorting - Sorting objects into groups is the precursor to being able to group numbers. Bethany mostly likes to sort by colour but will sort by shape if encouraged. I bought a bunch of craft supplies, including coloured little pom-poms and buttons, and gave her different coloured containers to sort them into. Number line - It is easy to make a toddler sized number line on the ground using pavement chalk. You can hop along the numbers, saying them as you go, or collect numbers of objects that match with the numbers on the line. Play shop - We set up a pretend shop where one person is the shop owner and the other is the customer. Items are exchanged for tokens which are counted out (tan bark or gumnuts if you are in a playground). Expect to always be required to hand over change, no matter if you paid exactly. Play with coins - Bethany has always loved to play with the coins in my wallet, but now she is interested in the fact they have numbers on them, and sorting similar coins together. We talk about what the numbers are called and how the gold coins are worth more than the silver ones. She does not understand how to add up 50c and 20c, but she understands that if something costs 50c, she can pay for it with a 50c coin. 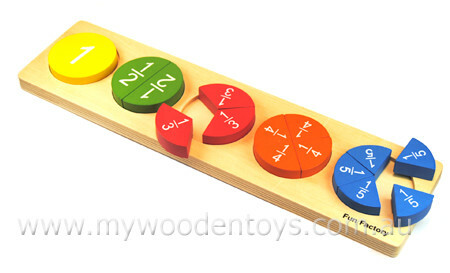 Clock games - A model clock where you can move the hands is great for learning the numbers 1 to 12. Again, we got a bargain basement one through RightStart Mathematics, but you could easily make one yourself with some cardboard and a split pin. Focus just on telling the time to the hour, including working out the hour if some of the numbers from the clock face are missing. If you can remove the minute hand from the clock entirely, that is less confusing for a beginner. Talk about the kinds of things that happen at different times of the day. Compare an analog clock with a digital clock and explain how the numbers correspond. When we moved house, I found myself in a 25 minute commute to drop Bethany off at daycare each morning and afternoon. Initially this meant I had a very cranky baby. After about a month of her not learning to entertain herself, or respond to singing etc from me, I resorted to giving her the iPhone. She quickly decided YouTube was awesome and like to watch 'ABCD', which was what she called anyone singing the alphabet song. However, 10 x 25 minutes of streaming YouTube videos a week was eating quickly through my data package, plus she also started to call random people from my phone. So I decided to set up the iPad properly with activities to keep her entertained on the road. And hence began a quest for good toddler apps. After several months of searching for and road-testing apps (by me and my 25mo), here are some of my top picks. All of these games have a lot of replay value. They encourage interaction and creative exploration. They are good value for money. They don't have any advertising, in-app purchases, or tie-in merchandising. They are stable and seem free of bugs, and my toddler loves them. 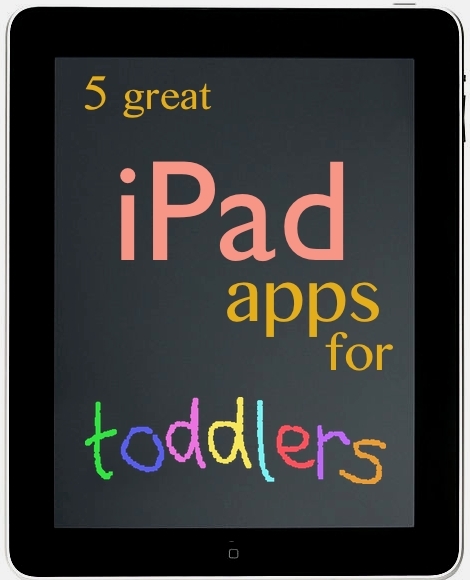 These are all general apps that I think would be liked by most toddlers of both genders. You know those wooden board puzzles for toddlers where there might be 6 or so objects and each one is a puzzle piece? Well, Tozzle is the iPad version. The puzzles are all simple, engaging pictures in bright colours that are aimed at this age group. There are 42 puzzles including farm animals, fruit and vegetables, numbers, letters, car parts, fairytale scenes etc. The animals make appropriate noises, the letters are accompanied by the name of the letters spoken aloud etc. User interface: The app is really easy for Bethany to move from one puzzle to another. After the first couple of times, she never got stuck and was able to exit a puzzle she was sick of and choose one she liked. She never accidentally ended up in a screen of text and there are no advertising links. If she has a go at placing a puzzle piece a couple of times unsuccessfully, then a little circle and arrow appears to 'hint' where it should go. I found this gave her just the right degree of help to understand how the game worked. Exploratory value: This is an app where there is an objective – to complete a puzzle. A little song plays and balloons come down when you are successful, so in that sense it is a reward-oriented app with 'correct' answers. However, what is really nice about this app is that after you create the puzzle you can play around with the sounds all the items make. Bethany keeps coming back to the puzzle where she builds a xylophone so that she can play the xylophone. Educational value: This app is primarily about learning to compare and match together similar shapes, just like its real world counterparts. It also reinforces basic vocabulary. Toddler appeal: Very high. Bethany loves it and I know plenty of other mums who say their toddlers love it too. How irritating? Not too bad. The little congratulations tune is mildly annoying, but this is short and over quickly, and not so irritating when I glance in the rear vision mirror and see Bethany doing a little dance to it. Don't be fooled by the boring, serious name. This is a great interactive app that is all about exploration, not flashcards at all. Essentially, the app's main menus is all the letters of the alphabet in cheerful colours. Tapping each letter takes the child to a screen with an interactive object to play with that relates to that letter. 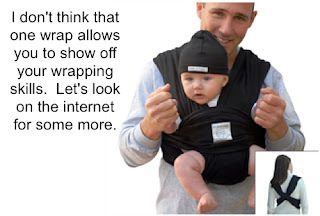 For example, Z is a zip that can be zipped up and down by sliding it with the finger, and it randomly reveals different objects when it is unzipped. E is an egg that can be cracked open by repeatedly tapping it until the white and yolk falls out. B is a beach where the sun can be pulled down to the horizon and the colours change to sunset and cicadas start chirping, or pulled back up to show a balmy day. User interface: Superb. So simple, so elegant, and so easy for even really young toddlers to navigate successfully. Exploratory value: Excellent. There is no winning or losing in this app, there is just experimentation and interaction. Educational value: Deceptively high. Because particular letters lead to particular toys, recognising the letter shapes is important for getting to the toy you are after, which reinforces those letter shapes with strong positive, relevant associations. Nearly all the interactive activities within those letters also teach something about the real world. The zip works like a zip, the xylophone like a xylophone. On P, you water a tree, which grows pears, which you pick and which then turn into a pie. Toddler appeal: Really good, although I'd say she definitely prefers some letters than others. She keeps coming back to it and getting more out of it. How irritating? Mostly not irritating. The background music is pleasantly low key. The only glitch is the xylophone for X, which cues every note she hits, so if she taps a lot with all her fingers, it keeps playing for a good minute or two after she's stopped. This is another interactive alphabet app with a similar concept but a different visual style. Whereas Interactive Alphabet has a simple, cartoony style designed to maximise focus on the letters and the functions of the objects, Goodnight ABC has 26 screens of gorgeous animal art with a more complex range of interactions. Each screen is set on a stage like a diorama. Some of the ideas in it are even a bit edgy - like turning off the light switch on X scene shows the x-ray skeletons of all the stuffed toys in that scene. I think this is pretty cool and Bethany is fairly indifferent, but I wonder whether some (particularly older) toddlers might find these kind of interactions fascinating or creepy. User interface: Pretty good once they learn where to tap on the menu screen to get started. Exploratory value: Very good. Encourages looking closely at the scene and exploring minute details within the scene. Educational value: I can't imagine any child would learn the alphabet from this app, because the letters don't stand out from the scene very noticeably. What I think this app does well is what a beautifully illustrated picture story book does well – it engages the child's visual imagination. How irritating? I haven't found it irritating at all. This is a beautifully designed app, which is essentially an adult game that has been turned into a toddler toy. In the game you choose to visit islands. Each island is a scene where you can interact with various elements – most in which you have to find a way of feeding (loveable) monsters, or putting fires out using a moveable water hose. Exploratory value: Quite good. While there are ways to successfully complete each game, there is a lot to explore and interact with along the way. Educational value: The app creates scenes in which objects fall down with gravity, and water in particular moves about the scene in realistic ways. 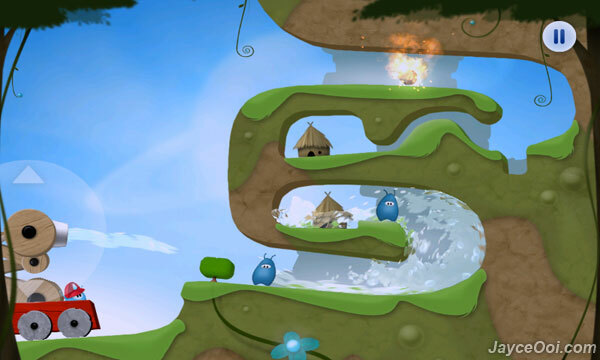 The game has a kind of real-world logic in the way fire has to be put out with water, and objects moved by the water to get at other objects. It also has imaginative flair with the quirky concept and the great visual design. 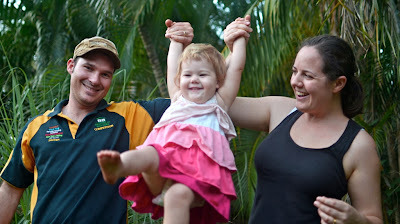 Toddler appeal: It took a bit of coaching for her to understand how the game worked, but once she did, she really enjoyed it. She likes to pretend to touch the fire and tell me it's hot, and likes to feed the monsters. How irritating? Pretty inoffensive. The music is soft and mellow and the sound effects are quite muted. Squiggles! is an app with an interesting concept. It contains a range of scenes, and objects are triggered to move by squiggling on them. So, a screen of cars are presented and the if you draw smoke for the cars then they zoom along the road when you press the 'go' button. Squiggles can be drawn anywhere, colours can be chosen, and there are also options to put stickers on the scene as well. User interface: Not too bad. Bethany learned to use it after a few false starts. She used to end up in the setting menu or a text screen fairly frequently at the start, but that doesn't seem to happen anymore. It took her a while to work out how to change scenes within the game. Exploratory value: Better in theory than in practice. My daughter quickly learned that a quick scribble on each object makes it move, and all she does is that minimal scribble then hits the button to make the objects move. She doesn't explore by drawing on the scenes. The game would be improved by a greater range of interactive aspects to the scene, and for encouragement to experiment with modifying the scenes in a variety of ways. Educational value: The hand-eye coordination of drawing is what this game primarily offers. Toddler appeal: Bethany enjoys it. Although she tends not to play it for very long before switching to something else, she frequently chooses this app and gives it a go. How irritating? This one can get a bit annoying after a while. The narrator's voice is overly cutesy and the sound effects are quite loud. I was startled to hear the narrator prompting Bethany to 'give this little girl a beer' at one point, and then say 'now this old lady wants a beer!' Turns out it was 'beard' not 'beer'... which of course makes much more sense. 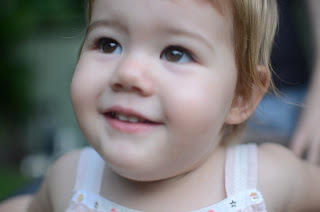 You just turned 22 months, and yesterday you told me, "Mummy, I grown into a big girl." So I thought it might be nice to write this letter to you so you know what your life was like at this age. At the moment, you go to daycare 5 days a week. I say 5 days, but the truth is that you rarely actually go all 5 days. That's the thing about daycare. At daycare you pick up every cold / flu / bug going around, and then once you have it, you can't go to daycare, so someone has to take the day off work and stay home with you. Which kind of defeats the purpose of sending you to daycare in the first place. It is the classic Catch-22 for working parents. You always seem happy when I drop you off at daycare and when I pick you up, although when we get in the car lately, you often say, "I no want to go to daycare." I'm not sure if it's the trip (25 minutes in the car) which bothers you, or whether you're caught up doing things at home, or whether it's actually something about daycare. You don't yet understand 'Why?' so I can't ask you that. I'm told you have been pushing and pulling the little ones a bit. There have been lots of new little babies join your group and I think you are feeling uncertain about how you fit in and are wanting more attention. I talked a bit to you about feeling jealous of the little babies getting all the attention. You've been away and sick a fair bit, so I think you're not really settled into the daycare routine at the moment. You are also definitely pushing boundaries a lot more deliberately to get attention and see what you can get away with. You like to go up to something you are not allowed to touch, look at me and touch it, then giggle and run away if I start to walk towards you. In other words, you are a normal toddler figuring out how it all works. You are intensely curious about everything. Your favourite phrase is, "What dat one?" Usually you want me to tell you the word for an object, but sometimes you want me to explain what it is or how it works. You remember so much and your language is coming along in leaps and bounds. I see you can understand more than you can say, and often get frustrated searching for the right word. Your favourite activity at home is playing blocks and puzzles. We have some wooden blocks, duplo, and most recently lego, which you call the 'liddle bocks' (little blocks). You have started to build your blocks into all kinds of things. You have built a 'horsey giddy-up horsey', a 'man body', a 'house', a 'picnic', and a 'cake happy birday to you' (it has duple flowers for candles and you sing happy birthday, it's so cute). You also like to arrange your blocks into patterns. We have lots of wooden toddler puzzles - shape sorter puzzles, puzzles with pieces in the shape of numbers or letters, and animal puzzles. You are just starting to be able to do stacking puzzles where you have to arrange the pieces from biggest to smallest. Your Nanna Rain got you a beautiful doll's house for Christmas, and I have got some furniture and animal figurines for it. You like playing with it, but mostly what you do at this stage is to take the furniture and figurines and match it to examples from real life. I'm regularly finding the sink from the doll's house in front of our kitchen sink, and the little fridge in front of our fridge. You find pictures in books of the animal figurines and put the animals with them. You like play dough, painting, drawing, and stickers, but usually for only very small bursts of time. Your drawing is becoming a lot more purposeful. You deliberately draw in particular spots on the paper (eg. draw scribbles in each corner), and deliberately draw circles, and scribbles and lines going in particular directions. You are very pleased with your drawing and tell me: 'I drawing mummy!' or 'I draw a eye!'. You love to feel that our family is a unit. When you make us cups of tea or food with your tea-party set, you always say 'Bethany have some' then offer to me, 'Mummy have some', then 'Daddy have some'. Sometimes you just say 'Mummy, Daddy, Bethany!' like those names in combination are the most awesome thing in the world. You like to sit down somewhere then order your Dad and I to sit down on either side of you. You know and are excited to speak to Granny, Granddad, Nanna Rain, Nanna Rose, Grandpa, Jane, Aunt Steph, Uncle Leighton, Aunt Megan, and Uncle Luke. You love me to read you books, although the strange thing is that you don't really have a favourite book. You never get stuck on a book and want me to read it a hundred times. You might want the same book for a week, then you start choosing other books instead. I have bought a few books but we go through them so fast that mostly I borrow them from the library. You like books with rhyming, or where there are simple actions you can do. You are starting to be able to tell me what is happening in the book. You love counting, and I think you are on the verge of really getting the hang of it. You often hand me three objects and say 'three'. You can say the numbers in order up to thirteen and then hit and miss to twenty. Often you will count objects and quite deliberately count a separate number for each object (so that you get the right total), but often you will still rush on saying the numbers without counting out particular objects. You recognise any numeral from '0' to '10' and know what to call it. You are just starting to get into imaginative play. You love blowing bubbles, but we also play a game where I blow imaginary bubbles using a stick and you run around and pop them. The other day we sat in your hula hoop on the grass and pretended to be in a boat on safari down a river. We spotted rhinos and tigers, and waves, and another boat. We've been doing a lot of toilet familiarisation, but you don't seem ready for toilet training. You are not able to anticipate (or not interested in telling me) when you are about to go. Also, you can't pull your pants up and down very well by yourself, so I think we'll put that on the back-burner for now. I am sleeping back in bed with your dad now. Mostly, you sleep through the night unless you're sick. Sometimes you stir and cry out for me, but if I say "Bethany it's night time, go back to sleep" through the monitor, you usually do. Recently, you had an ear infection that you couldn't shake for about a month, even with antibiotics. That, combined with travelling, has made for a lot of disruptions to your routine and made you a bit grumpy and clingy. But I think you are starting to settle back into things. You are still pretty fascinated by letters. You have learned to recognise every letters. I can point to any upper or lower case letters and you can tell me its name. 'B' of course is your absolute favourite letter. You are fascinated that a 'w' is an upside down 'm', and if you find one you keep moving around it saying 'upside down now m, upside down now w'. Lower case 'b' 'd' 'p' and 'q' hold a similar fascination. You understand letters form words, though you don't quite understand how. You have some wooden blocks with letters on them and you line them up in rows and tell me you are 'making words'. I have always said things like 'A for a-a-apple' so you will often say 'A for apple' if I point to an 'A', but are only just starting to associate some of the letters with their phonic sounds. I'm now trying to emphasise the phonic sounds the letters make, but this is new to you so we're a fair way off being able to sound out words. You love to sing. You pick up songs so quickly and you also are not too bad at getting the tune and rhythm right. You particularly love the 'ABCD' song, and have two Sesame Street versions that you love to watch through Youtube. One has some artistic licence with a couple of notes and if I sing that version, you tell me I am singing the one with the 'one lady', because you recognise the difference. The other involves tap-dancing. Today you found a pair of my shoes which were closest to what the tap dancers wore in the video and tried to sing and stomp in time with your singing. You told me you were 'dancing like the ladies in the phone' (you've been watching Youtube on my phone). I am so privileged to have you as my little girl. I am very sorry that the first time I cut your hair I gave you a mullet. I have trimmed the back now so it's not so bad. I'm not quite willing to go through the pain of taking you to a hairdresser and persuading you to sit still, so you will have to do with the bodgy haircuts I give you for now. P.S. Its mothers day tomorrow and I'm looking forward to my cuddles! Which got me to thinking... Are there more photos of good looking men with babies strapped to their persons? And if there were, what might they be saying? A member of my mother's group posted this article: Why I HATE Attachment Parenting: the name, that is. This is an article by Sarah Ockwell-Smith, an enterprising woman essentially rebranding AP using mainstream marketing techniques, so that she can sell it as BabyCalm® . Her insight into the parenting market is superb. I agree with her that Attachment Parenting is a loaded and contested term that divides people into camps. And her website could reassure even the most conservative mother that she was getting mainstream advice. As a business strategy, it's great. Do we need to just trust our instinct and do what feels right? yes. Let’s drop this terminology, let’s drop the idea of viewing it as a choice of a way to parent and lets help new and expectant parents to understand the way our species is meant to be born and raised. The NORMAL way for humans to birth and parent. For starters, I can't help thinking that there is something off about proclaiming you are all for 'instinctive' parenting behaviours and to throw away the parenting books as an advertisement for buying a parenting book. Moreover, when the practices you are advocating are apparently so instinctive and intuitive, why is it that the majority of mothers will think they sound weird unless you employ sophisticated, contrived branding? Now, let me say before I go any further that on a spectrum of parenting practices, with Tizzie Hall at one end and Dr Sears at the other, I definitely fall closer to the Dr Sears end. I breastfed until 17 months, I co-slept till 13 months, I held or wore my baby as much as I could manage, and I use a very gentle form of discipline with my toddler. But one thing that drives me absolutely bonkers is people who claim that their Attachment Parenting techniques (by whatever name) are 'instinctive'. And they don't just mean 'instinctive for me personally', but 'instinctive for each and every one of us if we could all just shed the rubbish parenting advice clogging up our brains and rediscover our true and natural selves'. In order to make their case, they point to anthropological and archaeological evidence about the way people live in more 'natural' states. For example, they point to statistics that show most of the world co-sleeps. They give their own personal anecdotal evidence that they felt so much better once they ignored the baby trainers and trusted their instincts and their baby. 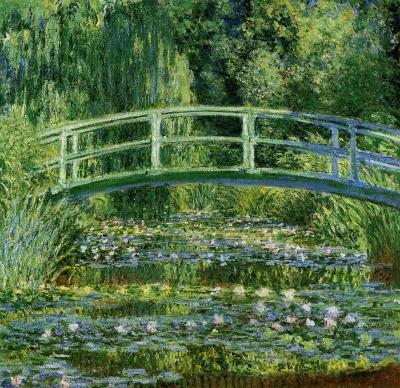 Ah, Monet. So beautiful. (And in case you're wondering the first picture is a Banksy painting). But looking at these pictures reminds me of when I got my first camera. I was seven. I was so excited to be able to finally get a chance to take my own photos and capture the world from my perspective. I took photos of beautiful big trees near our house, and of the moon. And then I was very angry at my camera, because it wasn't taking photos of what things really looked like. I was angry at the power poles and the city lights for getting in the way when they weren't supposed to be there. 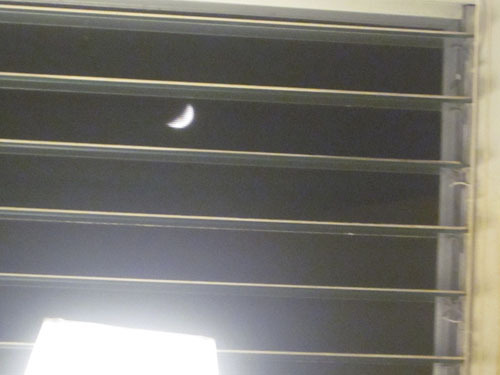 I knew what a photograph of the moon or a tree was supposed to look like and this was not it. It didn't take me long to lose interest in photography and focus on writing. But one day, many years later, the thought reluctantly occurred to me that the problem was not that the camera was distorting reality, it was that it was capturing reality more truthfully than I liked to admit. 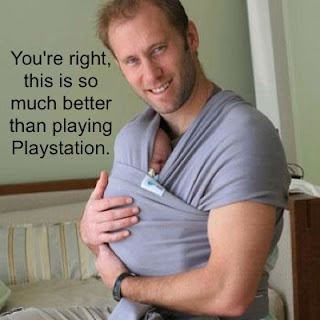 'Instinctive' or 'natural' parenting advocates would say that they are just trying to promote what is natural, whereas baby-training methods are about trying to subdue or dominate a baby and mother's natural way of being. But it seems to me that in making this argument the natural parents have bought into the human/nature dichotomy - the idea that humans are somehow above nature and outside of nature. Because unless you think humans are outside of nature, how do you reach the conclusion that there is a 'natural' way of being and an 'unnatural' way of being created by humans? If humans are part of nature, then how can any of our behaviour be unnatural? Now, maybe you think there is a human/nature dichotomy. Perhaps you believe that God created humans to rule over the natural world, or something similar. If so, that's a whole other argument. But if you believe in evolution, then you believe we evolved our sophisticated pre-frontal cortexes as a natural, evolutionary advantage that has allowed us to be unprecedentedly competitive in our natural environment. If you believe in evolution, you can say our behaviour is 'disproportionately destructive to the pre-existing ecology' or 'conscious rather than instinctive' but you could not say that it's 'unnatural'. I do believe in evolution, and so I think there is a fundamental problem with labelling some human behaviours to be 'natural' and some 'unnatural'. So let's set aside trying to classify parenting as natural and unnatural and turn instead to 'instinctive' versus 'trained'. This too is not without problems. 2) that we'd be better, happier parents if we acted in accordance with it. On the first point, unless someone decided the nature/nurture debate unequivocally in favour of nature when I wasn't looking, there is a problem with labelling some human behaviours to be 'instinctive' and some 'trained'. Last time I checked, it was virtually impossible to isolate a behaviour that is entirely learned or entirely instinctive. Take language. Learning language is instinctive in one sense, and you can see babies will instinctively babble and toddlers incessantly repeat what they think they hear. There is some evidence that we are instinctively primed to pick up grammar. But we do not instinctively know a particular language, nor do we develop language if we are isolated from all forms of human communication. From studying children in rare but unfortunate circumstances that they are not exposed to language before a certain age can never be taught to speak any language fluently. Our thought processes at as fundamental a level as language are partly instinctive, but they in order to develop in what we would think of as a 'normal' way they require the input of human culture. And language itself plays a huge role in what we value and pay attention to. If you learn the words 'keyboard', 'USB', 'iPad', 'phone', and 'TV', you are going to pay attention to very different things than if all those concepts are bound together under the term 'useless crap' and instead you learn ten different words to describe the different ways a kangaroo hops. I wouldn't even notice, much less describe to you, a kangaroo's hopping pattern. The notion that there is any pattern to how a kangaroo hops is alien to me, but it would seem entirely instinctive to an Indigenous person raised with a language that was aimed at conversing in intricate detail about the natural environment. "Ask yourself this, why is it that humans are the only species in the world that need parenting help? Why is it that tiny creatures with even tinier brains can birth multiples, suckle them all, keep them safe and raise them into strong, healthy adults, all with no external input?" Her answer was primarily that we have received too much advice that goes against our own instincts, and if people just cooked and cleaned for us while allowing us to do things the way we feel is best, everything would go swimmingly. It sounds awesome. A little too awesome. The kind of 'it'll be perfect if I get to make all the choices' fantasy of our consumer culture, not like any actual traditional culture that really has actually ever existed. Far from trusting mother instinct, many traditional and ancient cultures would remove the babies from their mothers to other older, more experienced women. First-time mothers were considered far too naive and inexperienced to actually make decisions about the baby they gave birth to, and the community very much had a say in how the baby would be raised and what parenting practices would be adopted. 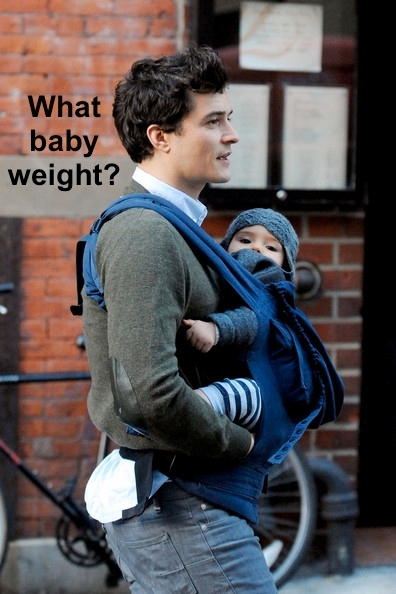 I think the answer is more pragmatic than BabyCalm would like to think. We are the only species that needs parenting help because we are the only species that has evolved an advanced pre-frontal cortex that allows us conscious control over a large amount of our behaviour, and the price of that evolutionary development is that instincts (both good and bad) can be largely overridden or ignored. The human infant is a perfectly designed organism; it knows when to sleep, when to eat, and how to cry out and signal its needs. Although caretakers are hard-wired to respond in positive ways to a needy infant, they are also not automatons. There is, in fact, an incredible amount of slack in the 'system'. Every adult carries a suitcase of personal and cultural baggage that determines how he or she will parent. And every society has developed traditions that guide how adults 'should' treat their offspring. That's every society, not just 'Western societies' or 'societies with capitalism and baby monitors'. Baby whisperers do not represent a new age of ignoring our instincts. They're just the modern consumer society's alternative to getting advice from grandma. And if you are under any illusion that 'traditional' advice is likely to be more accurate and in touch with a child's developmental needs, then you may be challenged by a number of the examples in Small's book. Are you comfortable with infanticide? 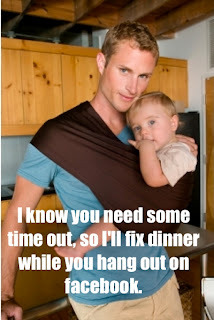 Or with assigning a two year old chores almost to the exclusion of playtime? There are many and diverse 'traditional' societies in the world, and I have difficulty accepting that Jean Liedloff's idyllic portrayal of a natural society in The Continuum Concept is the only true one. By all means, tell me that millions of babies round the world co-sleep and have done for millennia. Use this to question Western assumptions that co-sleeping is dangerous or damaging. But just because it's been the majority practice from a long-term world-view doesn't mean that it's instinctive. It could just have easily been so common because it has typically been the most rational sleeping arrangement from a safety and resourcing perspective. 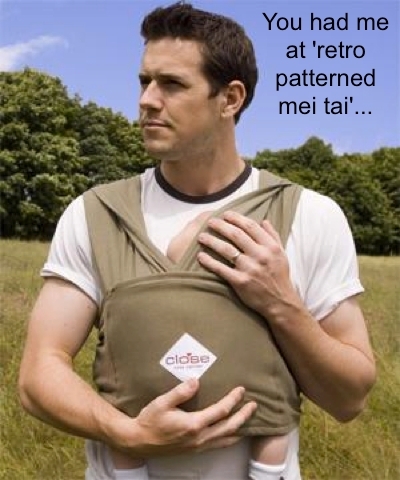 If you live in the jungle, you're going to keep your baby pretty close by. If you live in London in the industrial revolution, you are hardly going to spend money you don't have on a separate room and bed for the baby. If the majority of Western families, who can put their babies in another room without safety concerns and who have the space to spread a family out across multiple rooms, are choosing to co-sleep then you would have a more compelling argument that co-sleeping is instinctive. But how do you explain the babies and parents who go happily into separate rooms (and they do exist), or the babies and parents who really want to do attachment parenting but just cannot seem to get their child to sleep if they are in the room (because they exist too)? I believe co-sleeping for as long as your family wants is a perfectly valid choice. I believe it was the right choice for our family for that first year. I believe the vast majority of parents and children could co-sleep without much trouble if it was the social norm. But to say it's the one and only instinctive sleeping arrangement seems to be overstating the case. I think there probably are some parenting behaviours which are so deeply rooted in biology you could characterise them as instinctive. It's just that they they probably aren't as complex as setting up a co-sleeping arrangement. They are probably things like instinctively positioning yourself between your baby and a known danger, instinctively using a sing-song voice when speaking to your baby, or instinctively having part of your mind always thinking about the baby and searching for reassurance that the baby is ok. I draw a distinction between the instinctive urge to know your baby is ok, and saying the one right solution to that urge is co-sleeping. Indeed, I suspect that there are many people who resolutely don't co-sleep because they have an instinctive urge to know their baby is ok, and they have been told co-sleeping is dangerous. Hence, they find the practice of co-sleeping is not instinctive at all, because they are constantly worried that they will wake to find their baby is not ok.
Now if you are a co-sleeping advocate, at this point you are probably thinking: But co-sleeping isn't dangerous. Those people have been misled. I agree. In most cases co-sleeping is not dangerous or is not significantly dangerous (see my summary of research on co-sleeping or my TEDx talk on co-sleeping and safety). But if this is what you're arguing, you have moved away from an argument that co-sleeping is 'instinctive' and are now evaluating whether co-sleeping is preferable. Whether co-sleeping is preferable obviously depends on many things, including how a baby is likely to develop when co-sleeping as opposed to cot-sleeping, what kind of values and personality you are aiming to foster in your child, the parents resources and ability to co-sleep, the impact of co-sleeping vs cot-sleeping on the family as a whole etc. There are so many variables here that I would suggest it is impossible to prescribe one right answer for every family. So why do some AP/natural/instinctive parents feel that there is one right way, and that is the AP way (with some minor variations permitted). There is a theoretical basis, consistent with what we know of psychology and neurology, that leaving a child to cry it out at an early age could be damaging but the likelihood of this risk is completely unknown. There is simply no research whatsoever that shows a link between crying-it-out and adverse outcomes. A very small correlation (which is not causation) between co-sleeping and long term pro-social behaviours has been shown in some studies. This effect does not necessarily outweigh the negatives of co-sleeping for a given family, nor does the development of pro-social behaviour require co-sleeping. So why do many people feel so strongly about it? I feel the urge to know my baby is safe and well. If I'm not with my baby or my baby is crying I feel distressed. To minimise this distress I like to stay with my baby, including at night. This ensures that my baby is safe and well. Staying with my baby at night feels so good it must be instinctive. The instinct to co-sleep ensures my baby is safe and well. For humans to follow their instincts is the only way to ensure babies are safe and well. Not following our instincts is wrong and damaging. Not co-sleeping is wrong and damaging. When I hear about people leaving their babies alone at night, I'm distressed as this is damaging their babies. It doesn't matter if they've reasoned it's the best thing in the circumstances. They must have reasoned wrong, or been brain-washed by a baby trainer to not feel their instincts. For the sake of argument, let's ignore the arguments I made earlier and assume co-sleeping is instinctive to humans, and that everyone who has reservations about co-sleeping has just been brainwashed with rubbish parenting information. Does it follow that it is better for humans to follow their instincts and intuition rather than a rational evaluation of the advantages and disadvantages of a particular parenting practice (eg. co-sleeping, smacking etc.) in a given situation? Sometimes intuition is great. Sometimes it allows us to make decisions quickly, or gives a sense of peace and 'rightness' about our decisions that outweighs any disadvantages. Intuition is powerful, and in terms of probabilities acting on intuition will often give a good outcome. Intuition is, however, a loaded word. It carries connotations of an inner epiphany of wisdom. But we don't necessarily get one of these every time we switch off our rational brains and go with our guts. Not all gut feelings are wise. Acting on your gut feelings can mean acting on your prejudices, and making decisions blinkered by your worldview without even being aware that it has been blinkered by your worldview. Sometimes the best course of action is actually counterintuitive. I think that sometimes we should follow our instincts and sometimes we really, really shouldn't. Instincts can be violent, aggressive, manipulative, and neglectful just as readily as they can be loving, caring, protective, and respectful. Instincts and rationality can lead us to different behaviours, but neither approach is the one true, right way of being. I have done a lot of AP stuff, but I have real trouble with the 'it's normal and instinctive' argument for parenting in a particular way. Those so-called instinctive practices weren't at all instinctive for me. They were complex, learned behaviours. The breastfeeding in particular was painfully non instinctive. 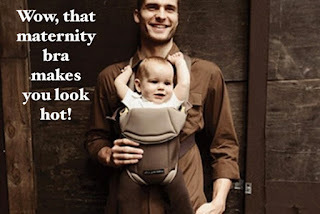 Holding my baby for longer than 5 minutes at a time felt unnatural and it was only after watching hours of Youtube videos that I got the hang of babywearing. And there were many, many sleepless nights of wanting to walk out and thinking: "Would leaving her to cry really do that much harm? Really??? Such-and-such's kids seem just fine." And yes, listening to her cry was distressing and that 'felt wrong' so I preferred to stay - but I'm sure that a huge part of that distress was having read about the potential damage of leaving her to cry. Had I been told different things - had I been told that crying is normal and means nothing (or even, 'is good for their lungs'), I would have handled it pretty comfortably. But had I read no books at all I probably would have been completely shell-shocked and dissolved into a blithering mess, driven by my urges to try to stop my baby's behaviour or withdraw... so I don't see that as a solution either. I for one really needed guidelines and principles on how to parent. I needed to understand what was normal and abnormal in a developing child - otherwise I would have spent a lot of time trying to change healthy behaviour, or teach my child things she didn't yet had the capacity to learn. I have found principles like fostering attachment, setting boundaries, and following the child's pace useful. I think it's great where there's information on particular parenting techniques and their effectiveness and side-effects. Having principles, guidelines, and a general knowledge of parenting ideas and research is very different from having hard and fast rules. So to return to Ockwell-Smith's conclusion. I disagree. There is no 'normal' way for humans to birth and parent, no one way we're 'meant' to be born and raised. Instinct and intuition are enormously valuable, but they are not a complete answer. It is part of being human that we get to be individuals and create cultures. We have multiple choices in how we parent, and the extent to which we use different parenting practices. 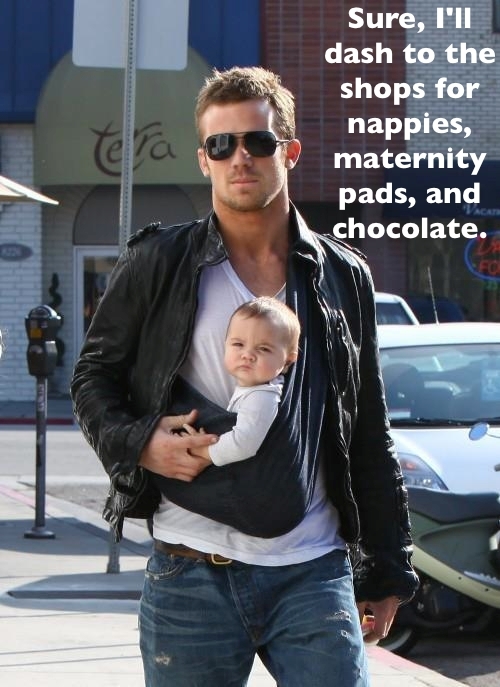 And there are many ways to be a happy, healthy family.